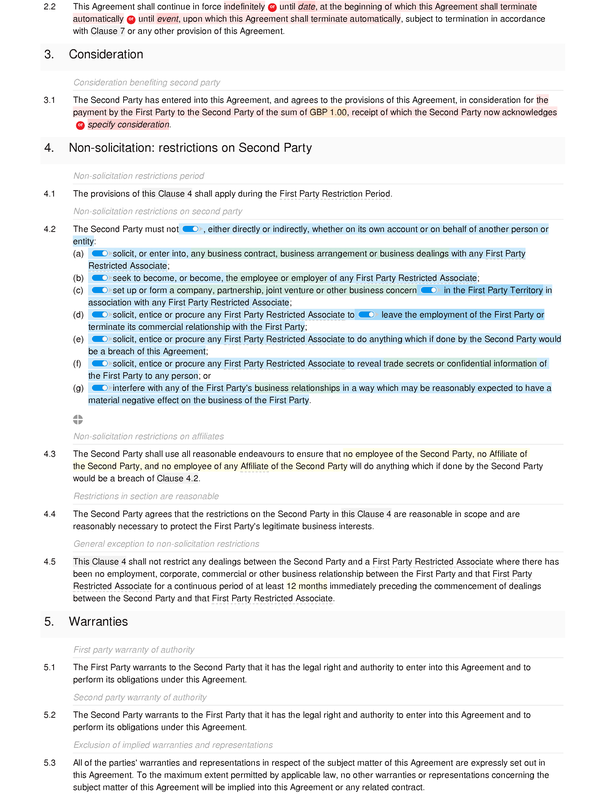 This is a unilateral non-solicitation agreement: all the non-solicitation obligations restrict the freedom of one party for the benefit of the other. 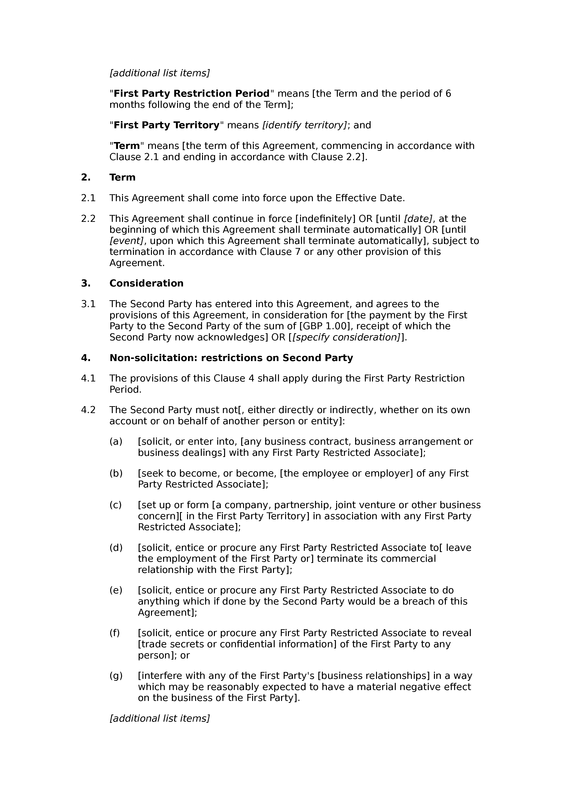 The specific non-solicitation restrictions in the document include: (i) a prohibition on entering into contracts or other business dealings with relevant persons; (ii) a prohibition on employing or becoming the employee of relevant persons; (iii) a prohibition on forming a company with relevant persons; and (iv) various prohibitions on interfering in the relationships between the first party and the relevant persons. 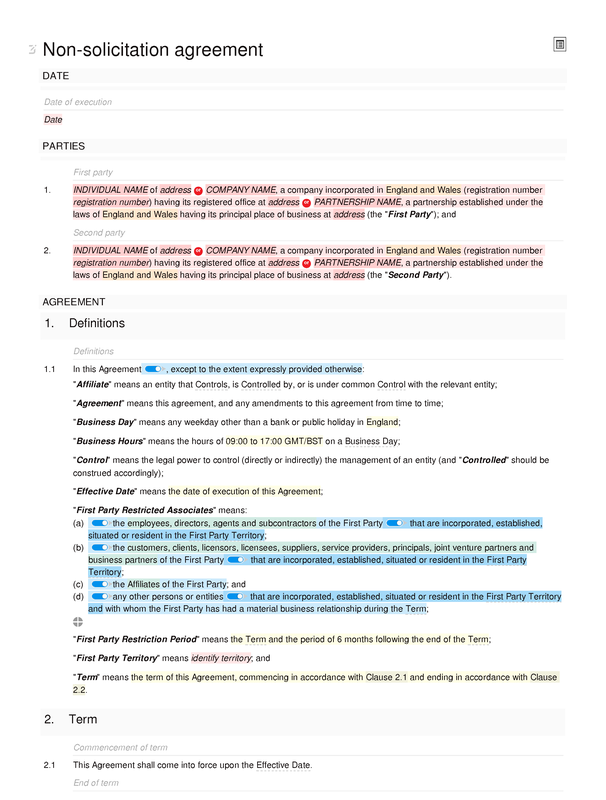 English law contracts may be unenforceable if there is no consideration or quid pro quo. 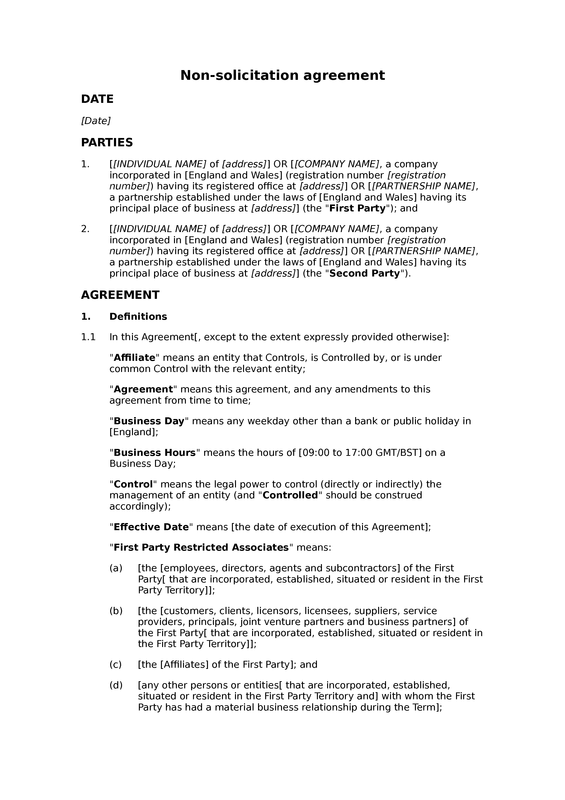 Accordingly, this template includes a clause covering consideration, whether nominal or substantial. 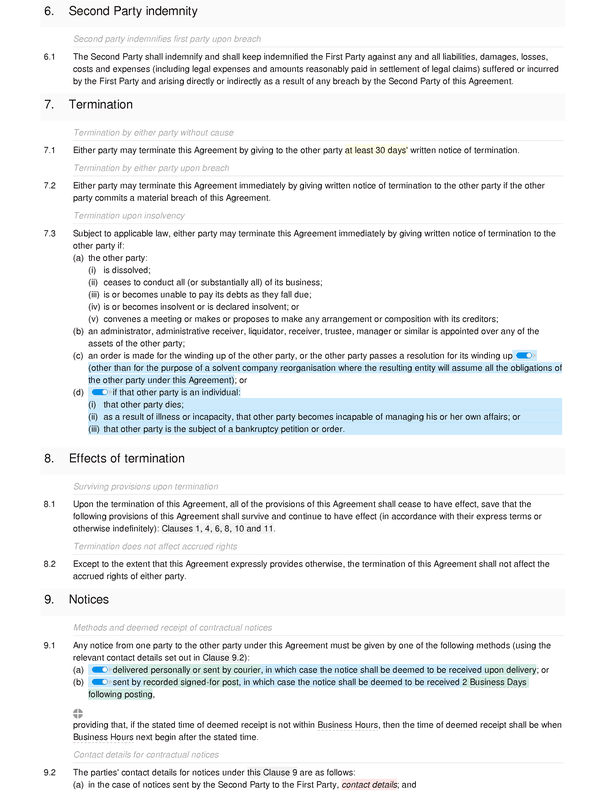 : non-solicitation restrictions period; non-solicitation restrictions on second party; non-solicitation restrictions on affiliates; restrictions in section are reasonable; general exception to non-solicitation restrictions.